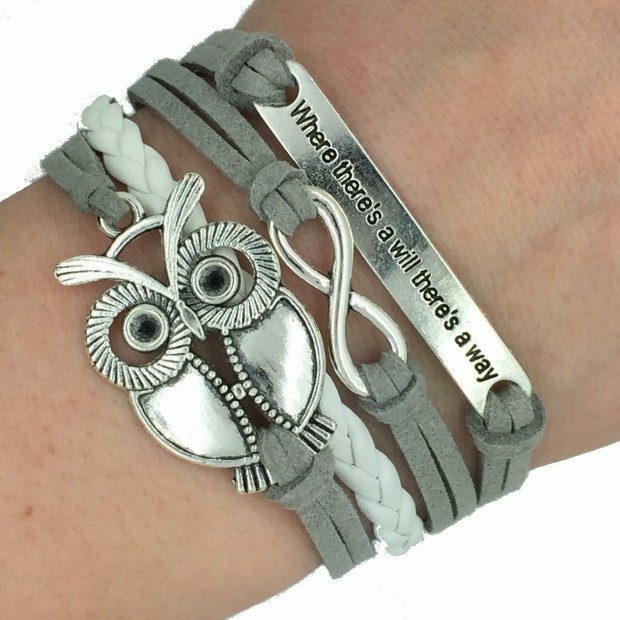 Owl Infinity Leather Wrap Bracelet Only $3.98 + FREE Shipping! You are here: Home / Great Deals / Amazon Deals / Owl Infinity Leather Wrap Bracelet Only $3.98 + FREE Shipping! Check out this super cute and trendy bracelet – right now, you can get this fabulous Owl Infinity Leather Wrap Bracelet for just $3.98 + FREE shipping! This would be a great addition to your jewelry collection or would make a great gift for someone!